What do we at GFR do when we’re not busy prepping for another successful season of racing? Well more racing of course! On the 22nd of November, we all packed into our cars, full of anticipation for this years GFR Team karting event. 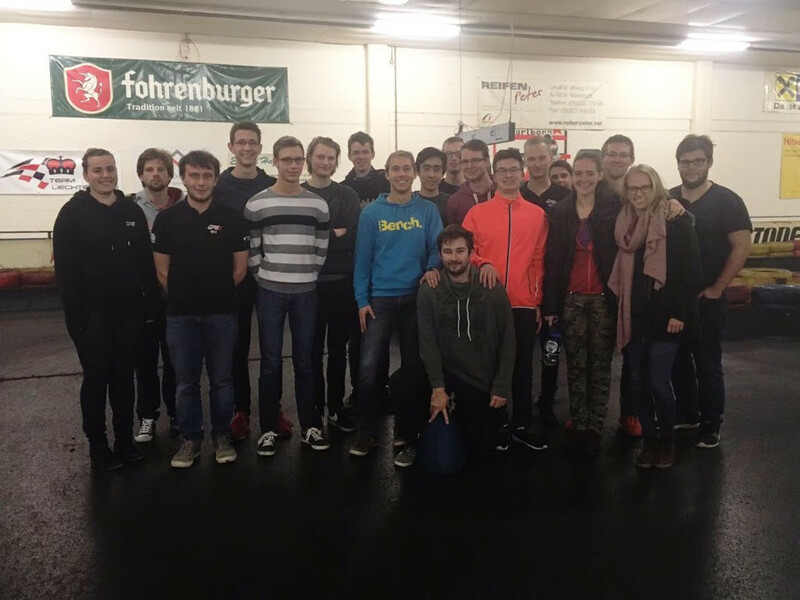 The short trip to our favorite kart track in Feldkirch, Austria has become something of a GFR tradition. This outing is more than just a terrific team building event, it’s also a great way to identify potential drivers for the new season. Helmets secured and visors down, the competitive spirit was in the air. First came a 10 minute practice session to get acquainted with the karts and the track. Once the atmosphere of screeching tires and roaring engines got everybody’s adrenalin pumping, a 15 minute qualifying followed, where everyone’s best lap time decided the starting grid of the action-packed final 20 minute race. Some team members found their hidden talent for drifting, while others battled it out one on one for every last tenth and hundredth of a second, to the point where only the timing sheet could name the winner. In between sessions, there were plenty of heated discussions on racing lines and apexes to be overheard, while veteran drivers doled out helpful pointers to greenhorns. The event was also a great opportunity for new team members to do some team bonding and experience the team spirit of GFR. Lasting till almost midnight, it’s safe to say that everyone had a fantastic time whether first-timer or experienced go-karter. Most importantly though, fans rejoice, we found ace drivers for our cockpit! ← Thank you GFR17e crew!